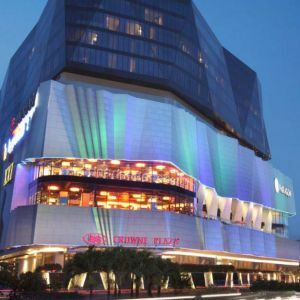 Semarang is a city on the north coast of the island of Java and is the largest city of the province of Central Java and sixth most populous city and the fifth largest Indonesian city. 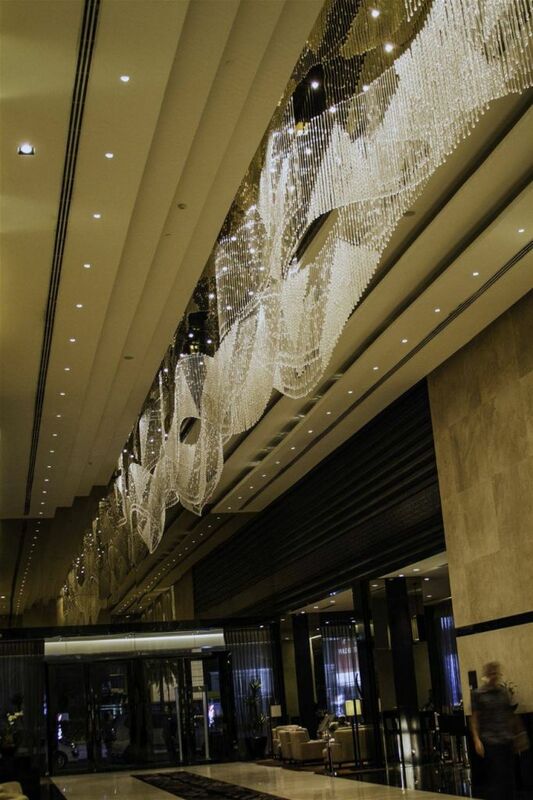 It is an important regional center and port today. 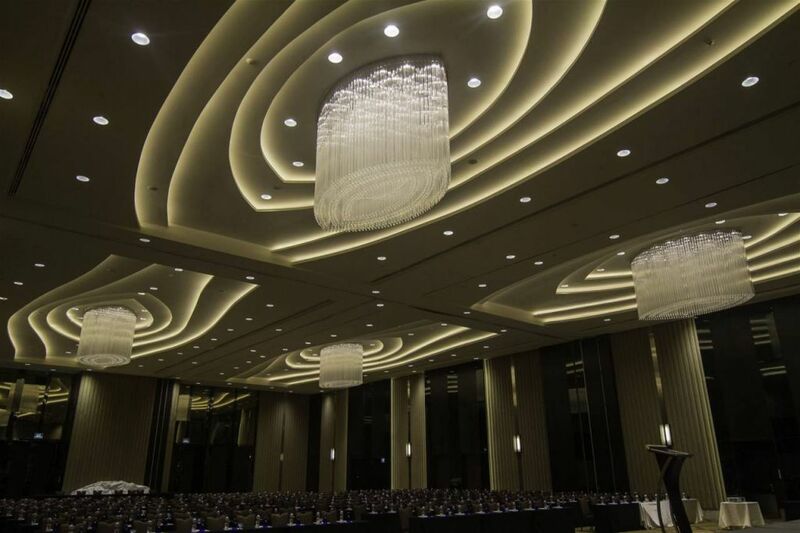 Crowne Plaza Semarang is a luxurious 4.5-star hotel set in a prime location in the centre of Semarang. 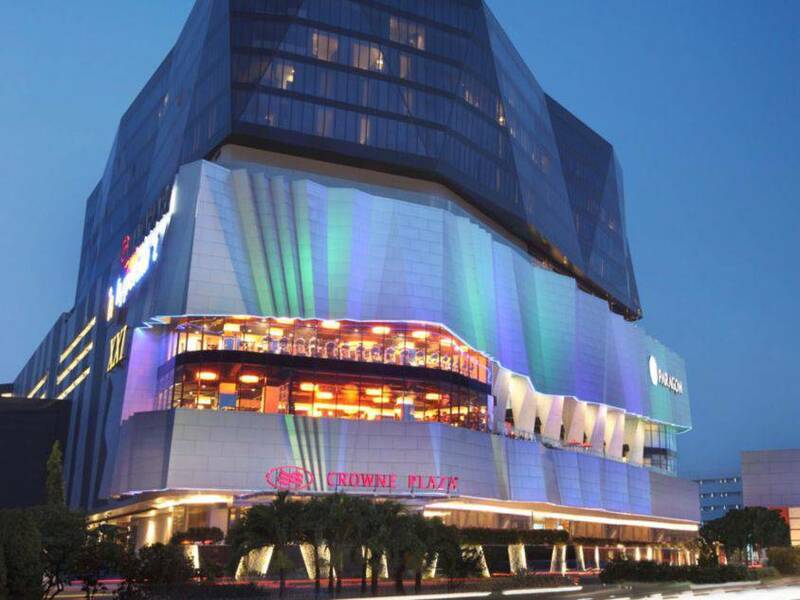 It was the first Crowne Plaza-branded hotel in Central Java – and the second in Indonesia following Jakarta. 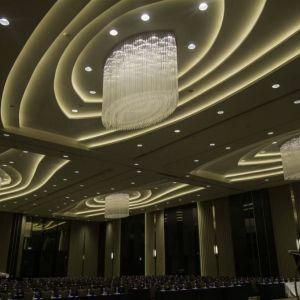 The hotel in Central Java is strategically located at Semarang’s central business district, near government and regional corporate offices, major banks and popular shopping malls. 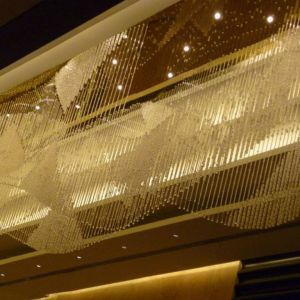 The hotel is also just a 15-minute drive from Ahmad Yani Airport. 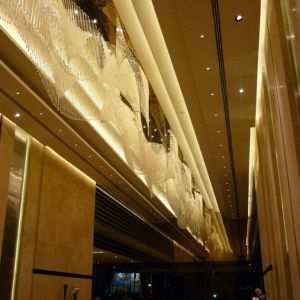 InterContinental Hotels Group has opened the 270-room Crowne Plaza Semarang to guests in January 2012. 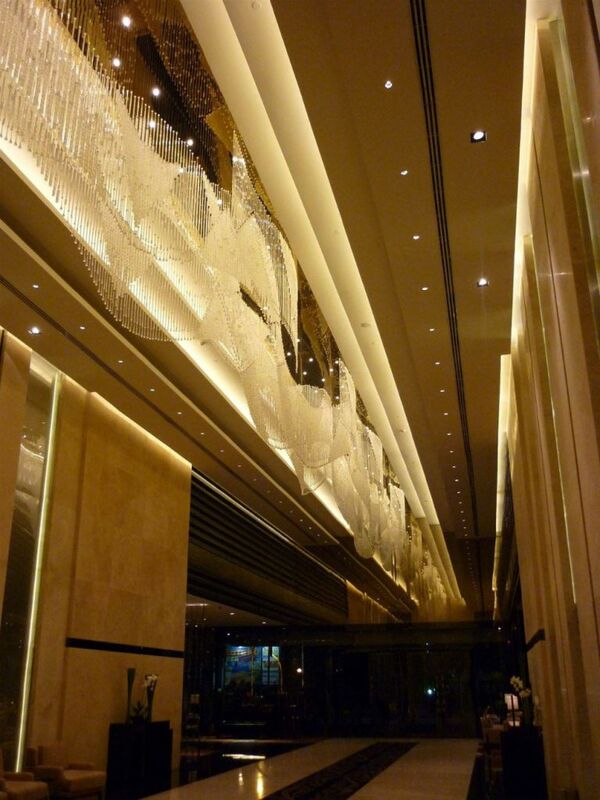 Preciosa cooperated directly with the owner of the hotel, Golden Flower Group. 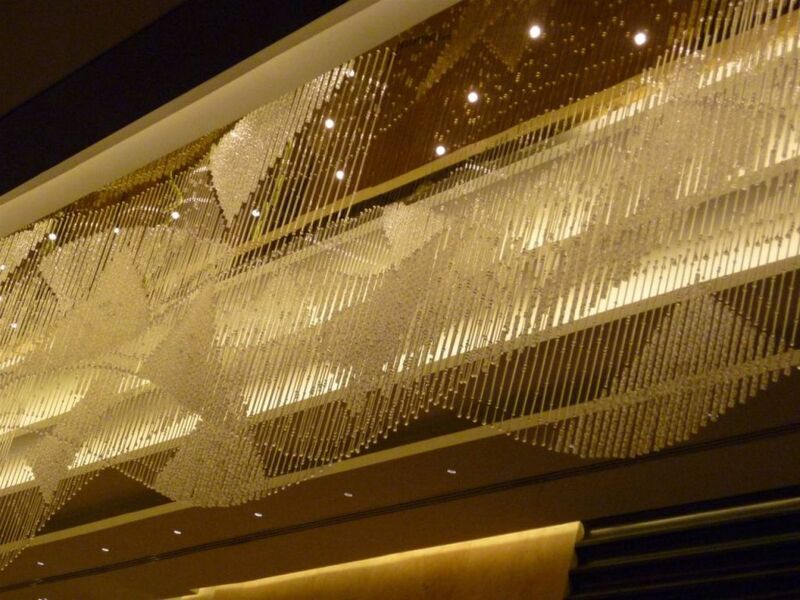 Hotel lobby is decorated with 30 m long wave that reminds billowy sea. 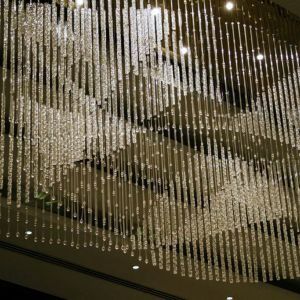 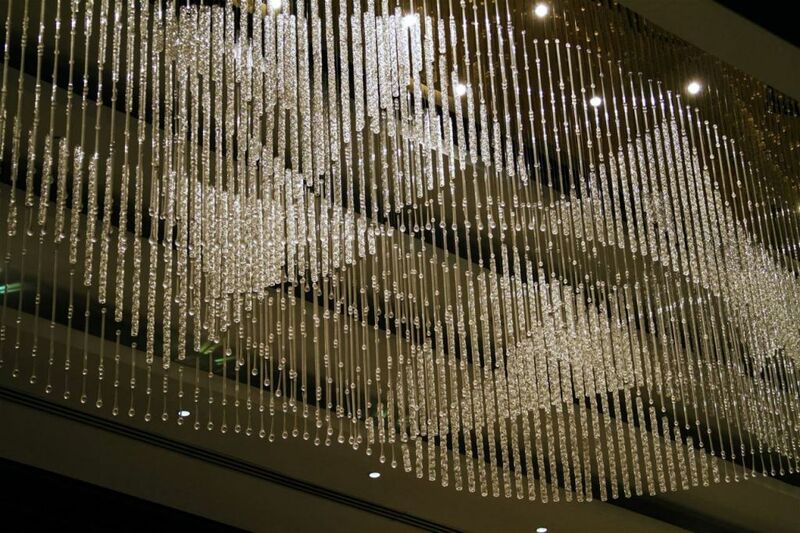 Wave is composed of crystal beads and tear drops in combination with glass tubes. 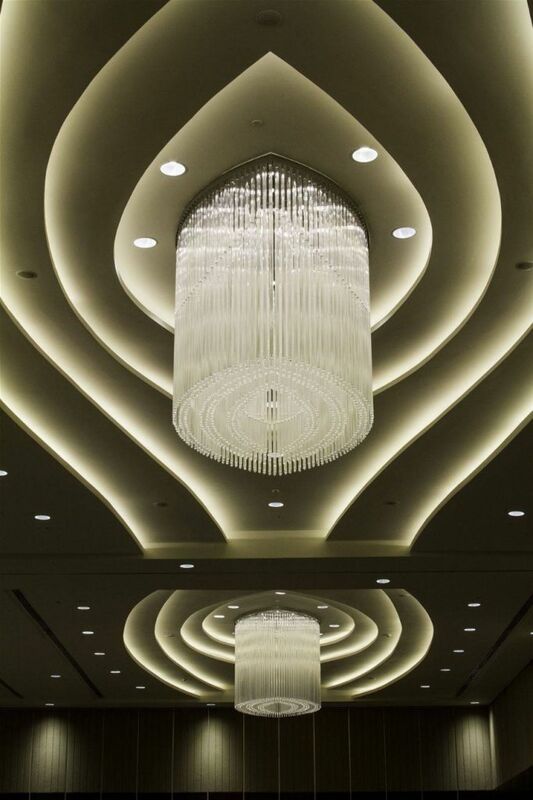 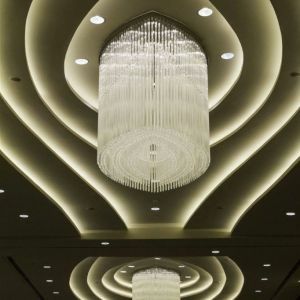 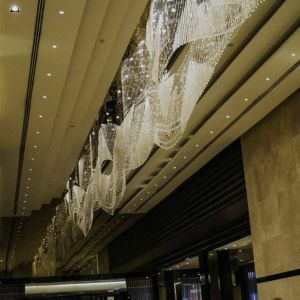 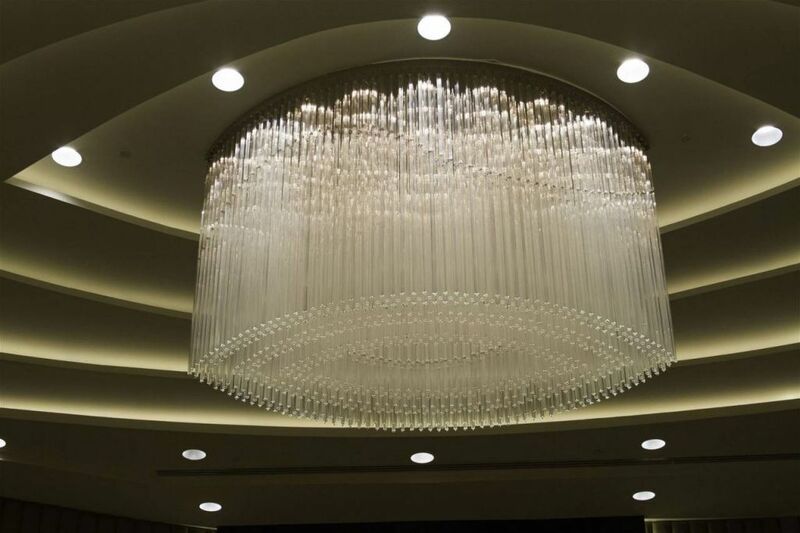 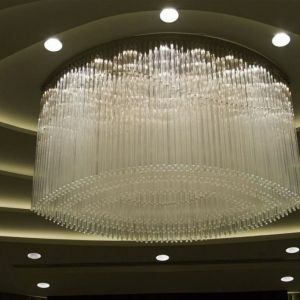 Ballroom and prefunction are decorated with chandeliers formed by triangular rods and smooth tubes.